I can’t believe we are already in the second half of October! Where is the time going? I saw a countdown board to Christmas recently, and it made me catch my breath. 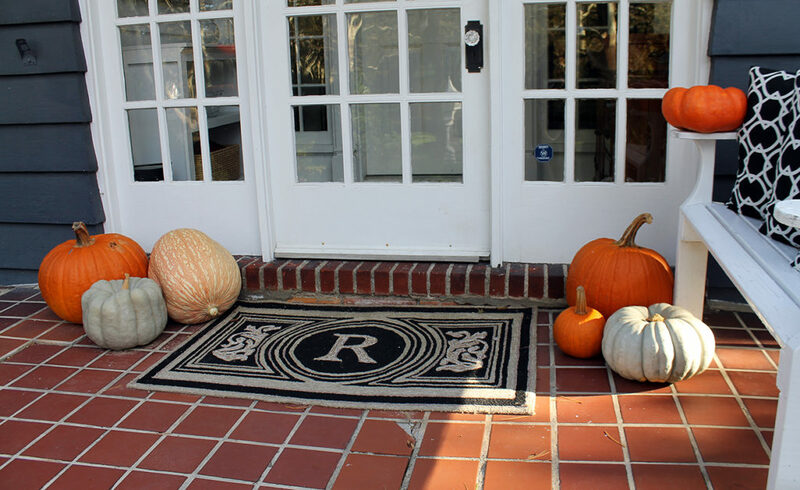 What is it about this time of year…time really needs to slow down. 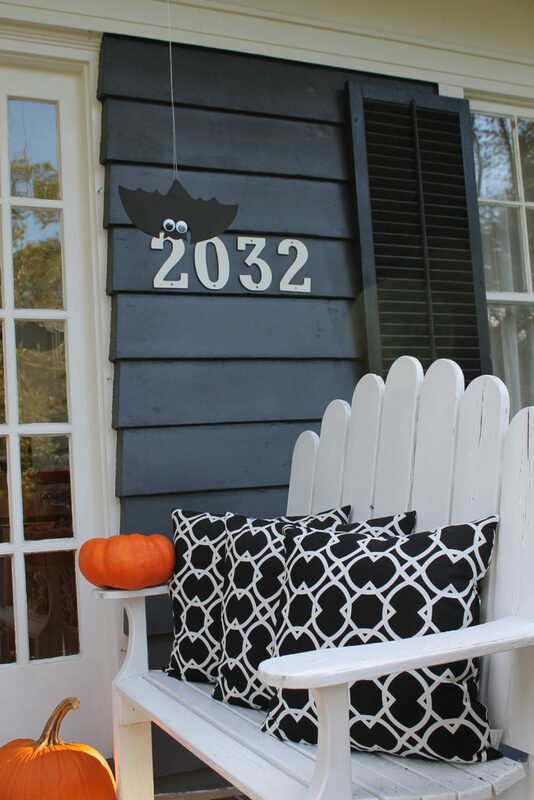 With only a few weeks left until Halloween, I thought it was finally time to decorate our front porch! 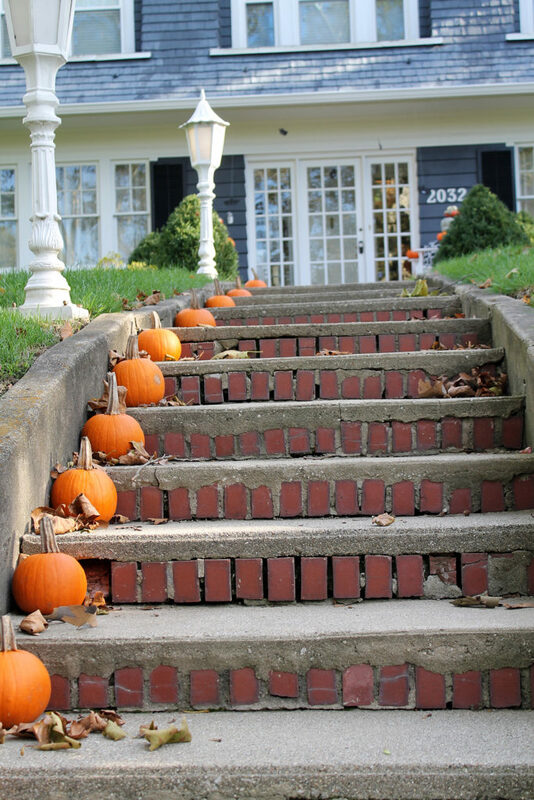 But first, you must climb a few steps to get to our front porch…17 to be exact. How do I know? 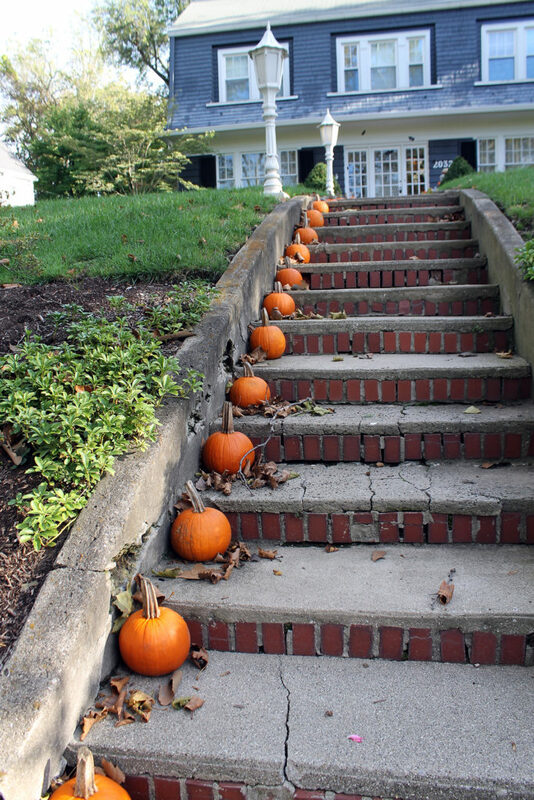 Well, every year I place a pie pumpkin on each of those steps leading up to our front door. I head off to the pumpkin farm knowing that I need to return with 17 pie pumpkins. 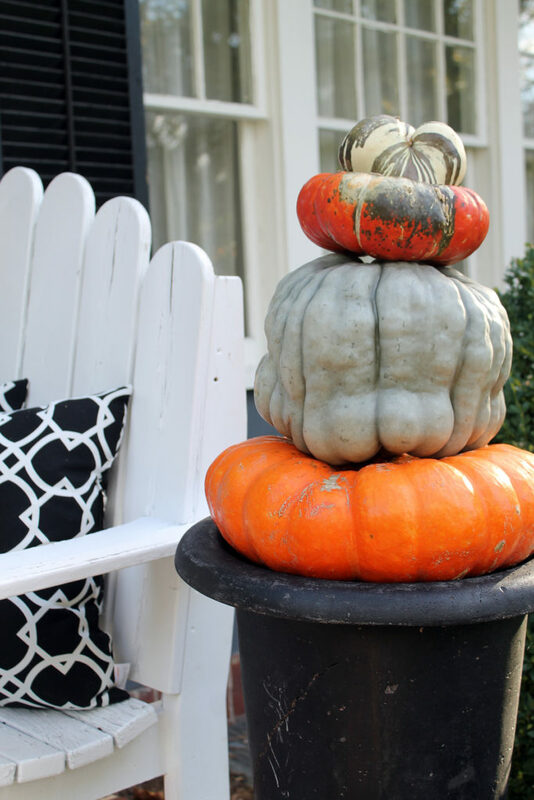 I love the way it looks…and now that the leaves are beginning to fall, it definitely looks like October! 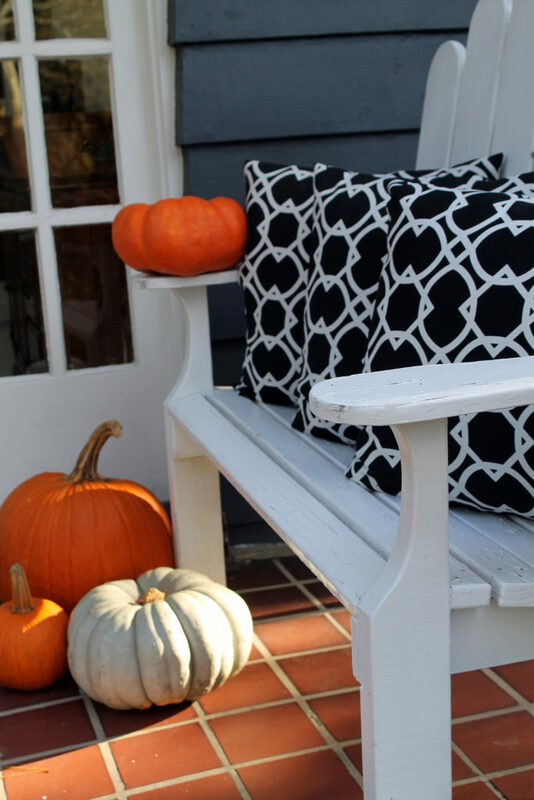 We normally have this white wood bench in our backyard, but I moved it around to the front porch and grabbed some black pillows from off our gazebo furniture. 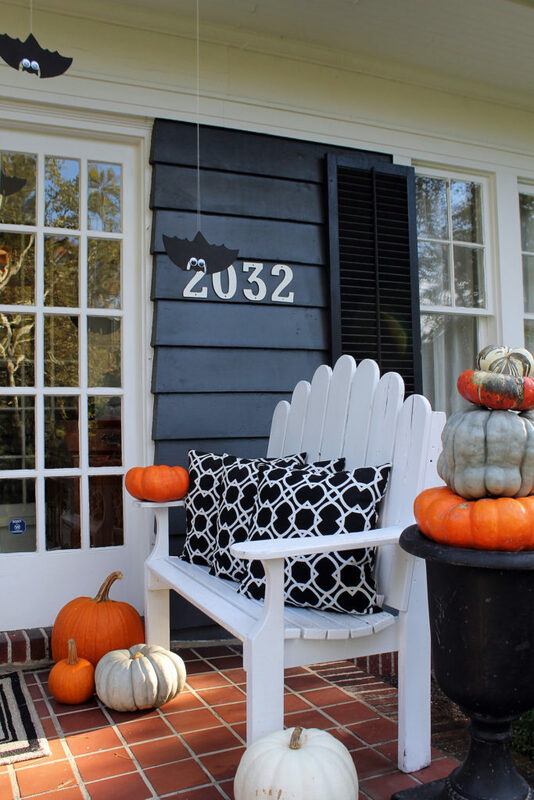 I love the contrast of black and white, mixed in with orange pumpkins. 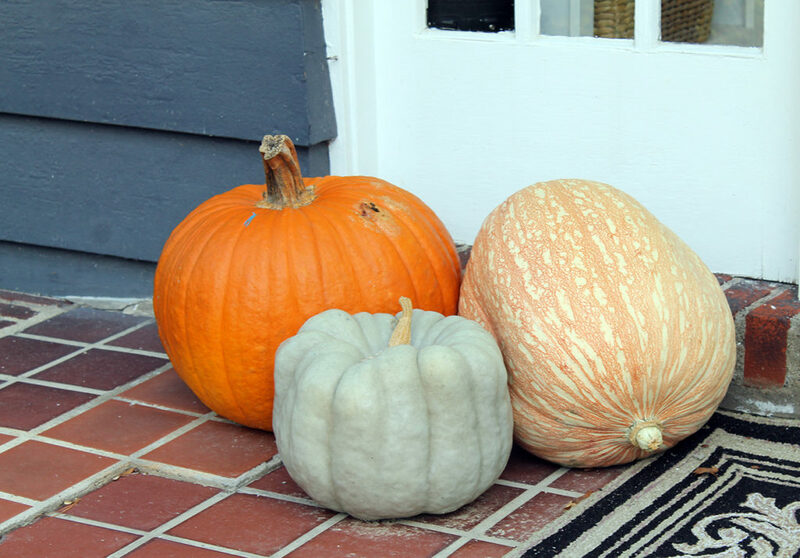 And speaking of pumpkins…I scattered various sizes, shapes and colors of them around the porch. I stacked some more on my black flower urns. 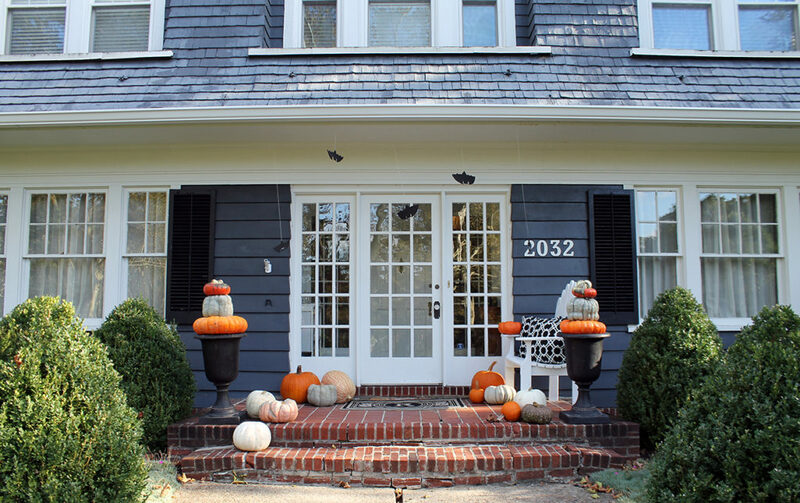 I think the white pumpkins are my favorite! 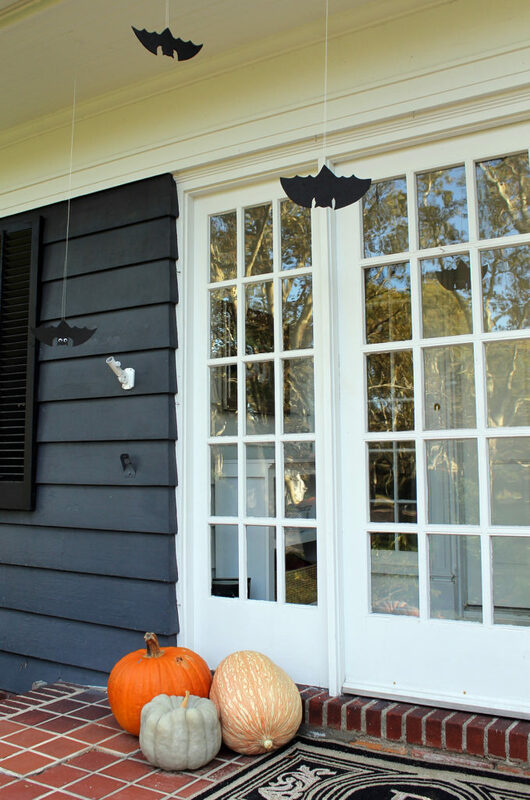 And then for a little fun, I added some bats to the pumpkin decor. 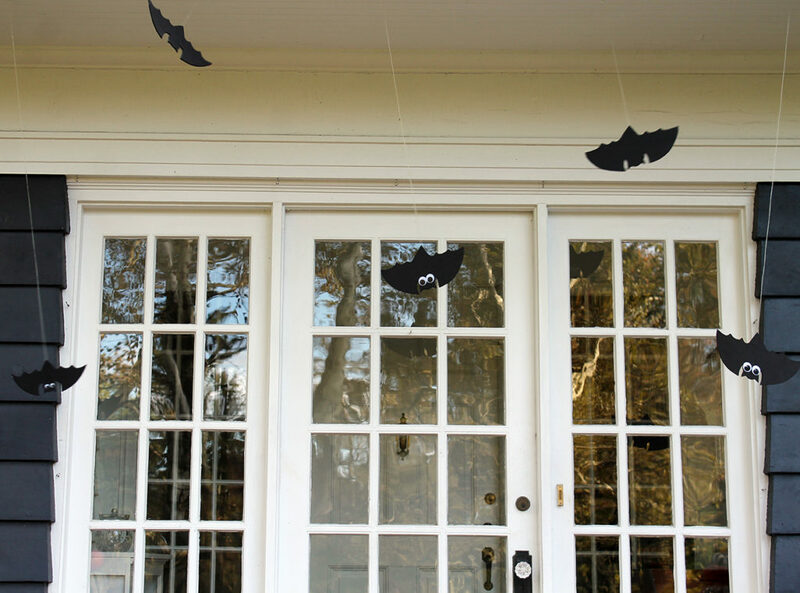 I cut bats out of black foam, glued wiggle eyes to them, and hung them from the overhang using clear string. Beth, your doors always look fabulous! Thanks, Vanessa! There’s a lot of beautiful door inspiration in our village!